Rachel, Gary Keith; Taken on strength as a Gunner in 15th Field Artillery Regiment RCA on 14 Sep 1988 with previous service, released on 25 Jan 1990. Radford, Kevin; Gunner in 31 Battery in 1999, Bombardier in 2000. Radunz, Lars Chris; ​Taken on strength as a Gunner in 15th Field Artillery Regiment RCA on 26 Apr 1986, released on 20 Sep 1996. ​Rae, Bruce J; Taken on strength as a Musician in 15th Field Artillery Regiment RCA, Sergeant from from 2006 to 2017. Rae, James Douglas; Taken on strength 15th Field Regiment RCA on 6 Nov 1958. Rae, William James; Taken on strength as a Gunner in 15th Field Artillery Regiment RCA on 26 May 1992, qualified QL2 General Military Training on 24 Jul 1992, qualified QL3 Artilleryman on 14 Aug 1992, qualified QL3 Artilleryman on 14 Aug 1992, operational deployment with United Nations Protection Force from May 1993 to Nov 1993, promoted Bombardier on 26 May 1994, qualified QL4 Basic Artillery Technician on 14 Jul 1995. ​Rahiman, Izaz Abdul; ​Taken on strength as a Gunner in 15th Field Artillery Regiment RCA on 15 May 1986, qualified QL2 General Military Training on 9 Aug 1986, released on 4 Aug 1987. Rai, Avtar Singh; ​Taken on strength as a Gunner in 15th Field Artillery Regiment RCA on 15 May 1986, qualified QL2 General Military Training on 9 Aug 1986, released on 4 Aug 1987. Rai, Ravinder Kaur; Taken on strength as a Gunner in 15th Field Artillery Regiment RCA on 16 Apr 1998, released on 21 May 1998. Rajan, Bilkis Zaherali; Taken on strength as an Administrative Clerk in 15th Field Artillery Regiment RCA on 20 Mar 1975, released 16 Oct 1975. Ralph, Philip John; Taken on strength 15th Field Regiment RCA on 18 Sep 1958. Ramsay, RM 'Red'; Gunner in 15th (Vancouver) Coast Regiment RCA. ​Ramsay, WM; Lance Bombardier in 15th (Coast) Brigade RCA CA in 1942. Ramsden, Eric; Sergeant in 15th Field Brigade RCA from 1937 to 1939, with 85th Heavy Battery 15th (Vancouver) Coast Brigade RCA on Yorke Island, appointed Battery Sergeant Major 85 Battery on 1 Apr 46, Warrant Officer Class II in 1948, struck off strength on release on 4 Feb 1952. Ramsden, Donald Saxton; Taken on strength in 15th Coast Regiment RCA on 24 Oct 1946, Sergeant in 1951, struck off strength on 1 Mar 1951, taken on strength on 6 May 1954, struck off strength on release on 15 Mar 1955. Ramsden, P; Sergeant in 15th Field Brigade RCA in 1937. Ramsey, Frederick Arthur; Taken on strength 99th Manitoba Rangers, attested 181st Overseas Battalion as a Private, Honorary Captain attached as Chaplain 15th (Vancouver) Coast Brigade RCA NPAM from 11 Oct 1940 to 1941, attached 15th Coast Brigade RCA AF effective 4 Mar 41, padre of Shaughnessy Military Hospital, deceased 13 Nov 1984, buried Mountain View Cemetery. Rand, John Duggan; Taken on strength as a Gunner with 85th Battery 15th (Vancouver) Coast Regiment RCA NPAM on 16 Aug 1940, assigned regimental number V10441, assigned new regimental number K417556. Rangno, Ulrich Karl; ​Taken on strength as a Musician in The Royal Westminster Regiment on 29 Apr 1982, transferred to 15th Field Artillery Regiment RCA on 1 Apr 1984, qualified Musician Euphonium on 22 Jun 1989,transferred to Supplementary List on 15 Mar 1985. Rankin, Armond Edward; Taken on strength as a Gunner in 15th Field Artillery Regiment RCA on 17 Apr 1986, qualified General Military Training on 9 Aug 1987, released on 2 Oct 1986. 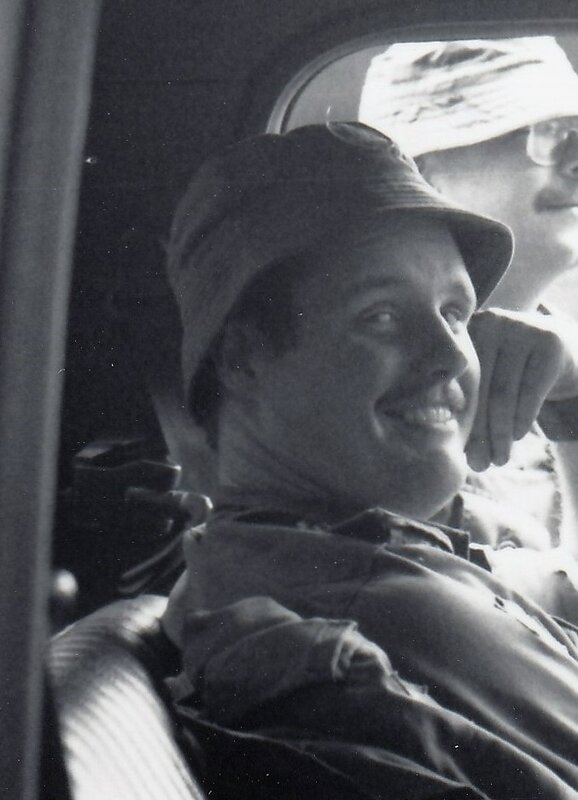 Rankin, Kevin Patrick; ​Taken on strength as a Gunner in 15th Field Artillery Regiment RCA on 3 Nov 1984, qualified General Military Training on 9 Aug 1985, qualified TQ1 Artilleryman on 20 Sep 1985, qualified TQ1 Non-Trade Driver on 30 Dec 1985, qualified TQ2 Artillery Technician on 9 Aug 1986, promoted Bombardier on 1 Nov 1986, qualified Combat Leaders Course on 30 Jul 1987, qualified TQ3 Artilleryman on 29 Jul 1988, promoted Master Bombardier on 26 Jan 1989, released on 15 Feb 1994. Ranking, Kenneth John; Taken on strength as a Gunner with 58th Battery 15th (Vancouver) Coast Regiment RCA NPAM on 31 Jul 1940, assigned regimental number V9990, assigned new regimental number K416597. Ransom, AA; Major in 15th (Vancouver) Coast Brigade RCA in 1941 to 1942, Battery Commander Yorke Island from 5 Nov 1941 to 2 Jan 1942. Raptis, Athanasios (Tom); Taken on strength as a Gunner in 15th Field Artillery Regiment RCA on 13 Feb 1985, qualified General Military Training on 9 Aug 1985, transferred to 5th (BC) Field Regiment RCA on 1 Oct 1986. Rattee, Ashkey James; Taken on strength as a Gunner in 15th Field Artillery Regiment RCA on 12 Jul 1982, released 10 Aug 1982. 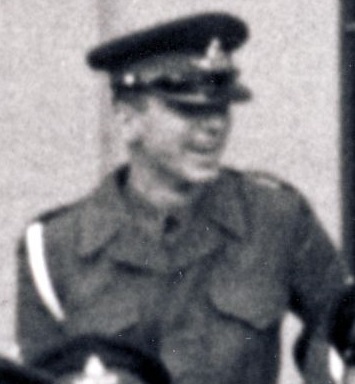 Rawlinson, William (Bill); Sergeant in the 43rd Medium Anti-Aircraft Regiment RCA Band in 1958, transferred to 15th Field Regiment RCA Band, Staff Sergeant in 1960. Raymond, Roland Orlando; Taken on strength as a Gunner with 58th Battery 15th (Vancouver) Coast Regiment RCA NPAM on 7 Aug 1940, assigned regimental number V9991, assigned new regimental number K416598. 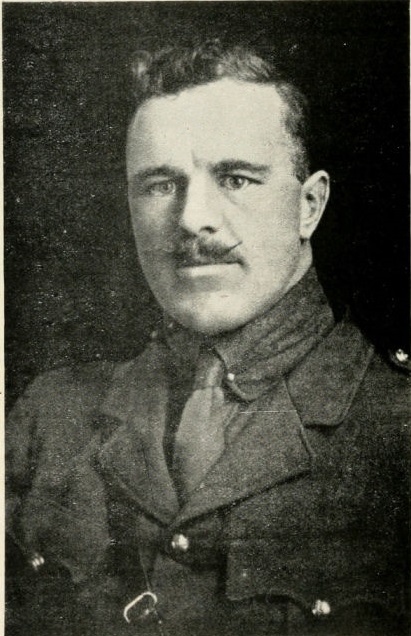 Reade, HH; Lieutenant in 85th Battery 15th Brigade Canadian Field Artillery from 1923 to 1924. Reader, FPW; Gunner in the 43rd Medium Anti-Aircraft Regiment RCA CA(M) Military Band in 1958, struck off strength on release on 23 Mar 1959. Reader, Paul Geoffrey; ​Taken on strength as a Gunner in 15th Field Artillery Regiment RCA on 6 May 1997, qualified QL2 General Military Training on 3 Aug 1997, qualified QL3 Artilleryman on 22 Aug 1997, released on 27 Jan 2000. Readman, George Roy; Attested Canadian Overseas Expeditionary Force 14 Feb 1917, regimental #349600 as a Driver with "C" Battery Royal Canadian Horse Artillery, embarked Halifax 16 Apr 1917; disembarked Liverpool 21 Apr 1917, taken on strength Reserve Brigade 30 Apr 1917, taken on strength 1st Brigade Canadian Reserve Artillery 22 Jun 1917, taken on strength Reserve Brigade 18 Nov 1917 taken on strength 68th Battery 16th Brigade Canadian Field Artillery North Russia Expeditionary Force 7 Sep 1918, proceeded overseas 20 Sep 1918, arrived Archangel 1 Oct 1918, embarked for the United Kingdom 11 Jun 1919, struck off strength proceeding to Canada 5 Jul 1919, discharged 15 Jul 1919, deceased 30 Oct 1926, interred Toronto ON. Reaney, Douglas Eber; Enrolled in Young Soldier Training Plan in 1958, Sergeant listed on the Warrant Officers and Sergeant’s Mess gong. Redekop, Tami Joy; ​Taken on strength as a Musician in 15th Field Artillery Regiment RCA on 12 Apr 1986, qualified General Military Training on 14 Jun 1986, qualified TQ1 Music on 31 Jul 1986, qualified QL2 Musician on 2 Feb 1988, promoted Bombardier on 2 Feb 1988, qualified QL3A Saxaphone on 28 Aug 1989, released 18 May 1995. Redekop, William Ken; Taken on strength as a Musician in 15th Field Artillery Regiment RCA on 15 Jun 1978, released 30 Aug 1978. Redgrove, Gerry Arthur; Taken on strength 15th Field Regiment RCA with former service in Royal Canadian Air Force on 7 Mar 1957, struck off strength on transfer to No 3 Area Signals Squadron RC Sigs CA(M) on 24 Sep 1957. Reecke, Michael Robert Paul; Taken on strength on transfer from Supplementary List in 15th Field Artillery Regiment RCA as a Gunner on 1 Mar 1984, qualified General Military Training, released on 26 Jan 1985. Reed, Bradley Scott; ​Taken on strength as an Artilleryman in 15th Field Artillery Regiment RCA, qualified General Military Training on 5 Jun 1976, qualified Artilleryman Trade Qualification 1 on 3 Aug 1976, promoted Bombardier on 1 Apr 1977, qualified Artillery Driver Wheeled Trade Qualification 2 on 31 Mar 1977, released 6 Jul 1978. Reed, William Hill; Taken on strength in 158 Battery 15th Fd Regiment RCA on 4 Oct 1951, struck off strength on 11 Mar 1952. Reeme, Thomas George; Taken on strength in 15th Field Artillery Regiment RCA on 22 Jan 1977, released 8 Nov 1977. Reeves, Edward; Taken on strength in 15th Coast Regiment RCA on 12 December 1946, promoted Warrant Officer Class II in 15 Coast Regiment RCA on 19 December 1946, completed QM & QMS Course on 2 Feb 1948, struck off strength on 21 Feb 1952. 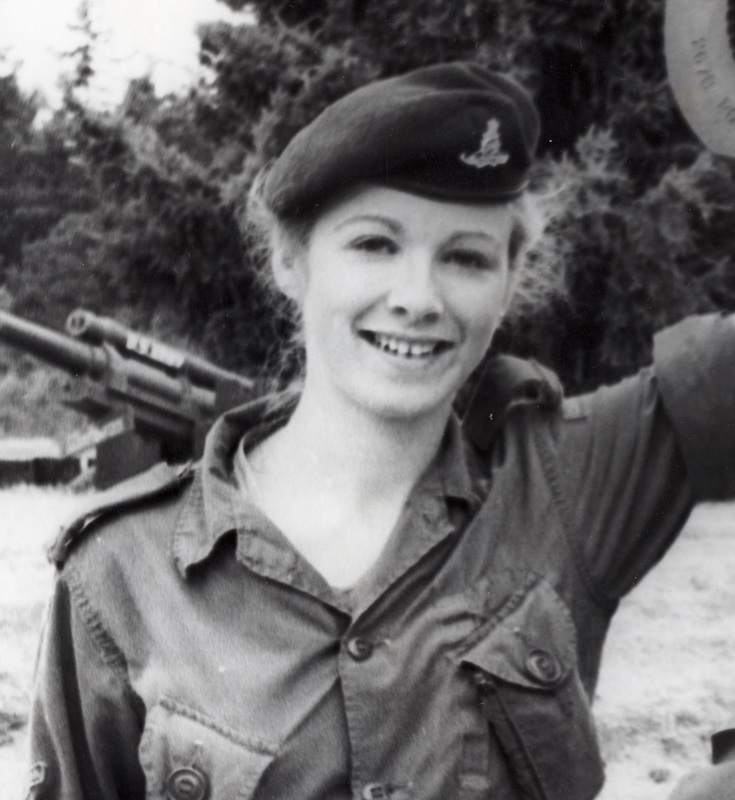 ​Reeves, Kim Dale; Taken on strength as a Gunner in 15th Field Artillery Regiment RCA on 16 Jun 1988, released on 17 Jul 1988. Rehaume, Robert Glenn; Taken on strength as a Gunner in 15th Field Artillery Regiment RCA on 9 Feb 1984, released on 8 Oct 1985. ​Reid, Elizabeth Anne; Taken on strength as an Administrative Clerk in 15th Field Artillery Regiment RCA on 28 Jan 1978, qualified General Military Training on 3 Jul 1978, qualified Driver Non-Trade course on 27 Aug 1978, qualified Administrative Clerk Trade Qualification 1 on 13 Jan 1979, promoted Corporal on 1 Mar 1979, qualified Administrative Clerk Trade Qualification 2 on 1 Dec 1978, qualified Junior Non-Commissioned Officer (Militia) course on 31 Aug 1979, promoted Master Corporal on 1 Nov 1980, transferred to Supplementary List on 22 Mar 1981. ​Reid, Gordon Eric; Taken on strength as a Gunner in 15th Field Artillery Regiment RCA on 30 May 1985, qualified General Military Training on 9 Aug 1985, released on 2 Mar 1986. 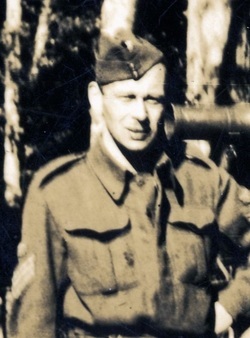 Reid, JC; Taken on strength in 43rd Medium Anti-Aircraft Regiment RCA, promoted Warrant Officer Class II, appointed Battery Sergeant Major, retired in 1956. Reid, Jill Elizabeth;​ Taken on strength as a Musician in 15th Field Artillery Regiment RCA on 24 Jun 1987, released on 1 Mar 1993. Reid, JL; Attached fap to 15th Field Regiment RCA as Lieutenant from 7 AAOR RCA CA(M) on 15 Jul 1955. Reid, John Brian; ​Taken on strength as a Gunner in 15th Field Artillery Regiment RCA on 9 Nov 1982, qualified QL2 General Military Training on 3 Aug 1997, released on 31 Oct 1983. Reid, John Charles; Taken on strength in 15 Field Regiment RCA on 24 Aug 1950, appointed Acting Bombardier on 14 Dec 1950, appointed Acting Sergeant on 29 Mar 1951, confirmed Sergeant on 1 Dec 1951, struck off strength on 24 Sep 1953. Reid, Kenneth Howard; Taken on strength as a Gunner in 15th Field Artillery Regiment RCA on 30 May 1985, qualified General Military Training on 9 Aug 1985, released on 1 May 1986. Reid, Kenneth Melvin; Taken on strength 15th Field Regiment RCA on 7 Feb 1957, promoted substantive Bombardier on 1 Apr 1958, appointed Lance Sergeant on 1 Dec 1958. Reid, Lorne Douglas; Taken on strength in 15th Field Artillery Regiment RCA on 4 Jul 1977, released 10 Oct 1977. Reid, Robert Fraser; Taken on strength as a Gunner with 58th Battery 15th (Vancouver) Coast Regiment RCA NPAM on 7 Aug 1940, assigned regimental number V9992, appointed Acting Bombardier, assigned new regimental number K416523. Reid, WC; ​Private in 85 Battery in 1969. Reid, William Tennant; 68th Battery Canadian Field Artillery Gunner Aug 1916, Corporal England Feb 1917, France 20th Battery Gunner May 1917, Bombardier July 1918, Canada and discharged Aug, 1919. Reiffer, Randy Bertrand; Taken on strength as a Gunner in 15th Field Artillery Regiment RCA on 25 May 1985 with previous service, qualified General Military Training, released on 10 Mar 1986. ​Reimer, Rick; ​Regular Support Staff 1981-1984, Master Bombardier. Renforth, John William; ​Taken on strength as a Musician in 15th Field Artillery Regiment RCA on 8 Dec 1972, qualified General Military Training on 11 May 1972, qualified Musician on 5 Sep 1972, released on 14 Jun 1973, taken on strength on 8 Dec 1976, promoted Bombardier on 1 Mar 1977, promoted Master Bombardier on 1 Mar 1979, transferred to 4 Air Reserve Wing Edmonton on 1 Apr 1981. Renney, Joseph Druery; ​Eight years service with 77 Field Battery in Moose Jaw, taken on strength 31st Heavy Battery 15th (Vancouver) Coast Brigade RCA on 1 October 1939, transferred to 107th Field Battery on 12 December 1939, embarked for overseas from Halifax NS on 28 January 1940, unit reorganized as 61/107 Battery 8th Army Field Regiment RCA, landed Africa 25 December 1943, landed Italy 16 January 1944, taken on strength Tin Hats Concert Party on 15 February 1944, missing from enemy action enroute to France 27 July 1944, buried at Shorncliffe Military Cemetery England. 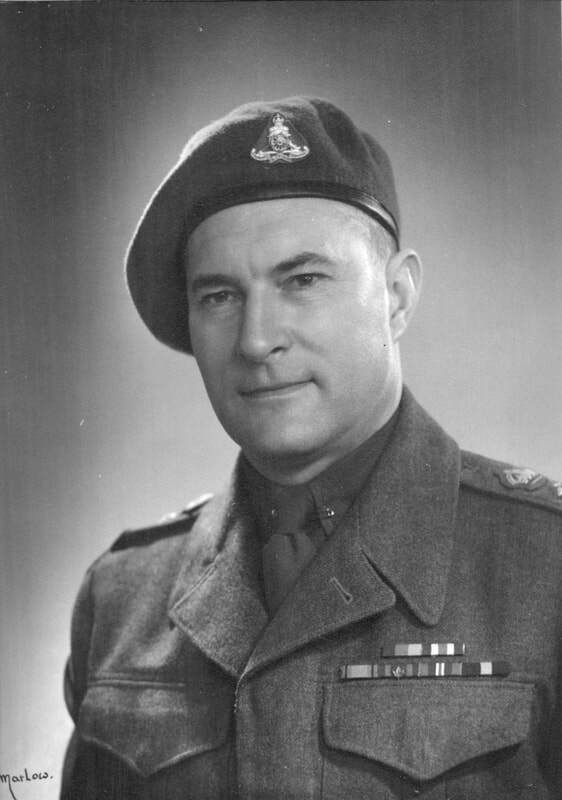 Renny, Joshua Thomson; ​Taken on strength in 15 Field Regiment RCA on 1 Feb 1951, appointed Acting Bombardier on 15 Mar 1951, appointed Acting Sergeant on 21 Jun 1951, confirmed Sergeant on 29 Nov 1951, appointed Acting Warrant Officer Class II on 10 Apr 1952, substantive Warrant Officer Class II on 1 Feb 1954, struck off strength on release on 10 Feb 1955, taken on strength on 26 Jan 1956, promoted substantive Warrant Officer Class II on 26 Jan 1956. Requa, Donald Sandall; Taken on strength as a Gunner in 158 Battery 15th Field Regiment RCA on 7 Jun 1948, struck off strength on 10 Feb 1949, enlisted in Royal Canadian Mounted Police. ​Revell, Jacqueline (Jackie) Anne; ​Taken on strength as an Administrative Clerk in 15th Field Artillery Regiment RCA on 27 Apr 1972, qualified General Military Training on 17 May 1973, completed Radio Operator course on 27 Jul 1973, qualified Administrative Clerk on 17 Aug 1973, promoted Corporal on 1 Mar 1974, promoted Sergeant on 1 Nov 1975, released on 1 Nov 1976, re-enrolled, Class B with National Defence Headquarters, Master Warrant Officer. ​Rheume, Omer; Drafted 16 Feb 1918, regimental #3056721, 1st Depot Battalion Eastern Ontario Regiment Canadian Expeditionary Force, transferred to 73rd Overseas Depot Battery Canadian Field Artillery 21 Feb 1918, embarked Halifax 27 Feb 1918; disembarked Glasgow 11 Mar 1918, taken on strength Reserve Brigade 21 Aug 1918, taken on strength 68th Battery 16th Brigade Canadian Field Artillery North Russia Expeditionary Force 21 Aug 1918, proceeded overseas 20 Sep 1918, arrived Archangel 1 Oct 1918, embarked for the United Kingdom 11 Jun 1919, struck off strength proceeding to Canada 5 Jul 1919, discharged 16 Jul 1919. Rhodes, Henry Cecil; Taken on strength as a Gunner with 58th Battery 15th (Vancouver) Coast Regiment RCA NPAM on 16 Aug 1940, assigned regimental number V9994, assigned new regimental number K416600. Ricardo, David William Crawley; Taken on strength from General List on 1 Apr 1946 as Captain in 15th Coast Regiment RCA, appointed Temporary Major on 17 Oct 1946, transferred to Supplementary Reserve on 1 Nov 1947. Rice, Douglas Adrian; Taken on strength as a Gunner in 15th Field Artillery Regiment RCA on 26 May 1992, qualified QL2 General Military Training on 26 Jun 1992, qualified QL3 Artilleryman on 14 Aug 1992, released on 25 Nov 1993. Richard, Robert McCurdy; Taken on strength as a Gunner in 158 Battery 15th Field Regiment RCA on 4 Jun 1948, struck off strength to Active Force on 11 Jul 1949. Richards, F; Acting Bombardier in 102nd Coast Regiment RCA in 1954, taken on strength on transfer 15th Field Regiment RCA on 16 Nov 1954, promoted Substantive Bombardier on 16 Nov 1954, struck off strength on transfer to 24 Medical Company RCAMC on 31 Mar 1956. Richardson, Edward; Taken on strength in 15 Field Regiment RCA on 6 Oct 1949. 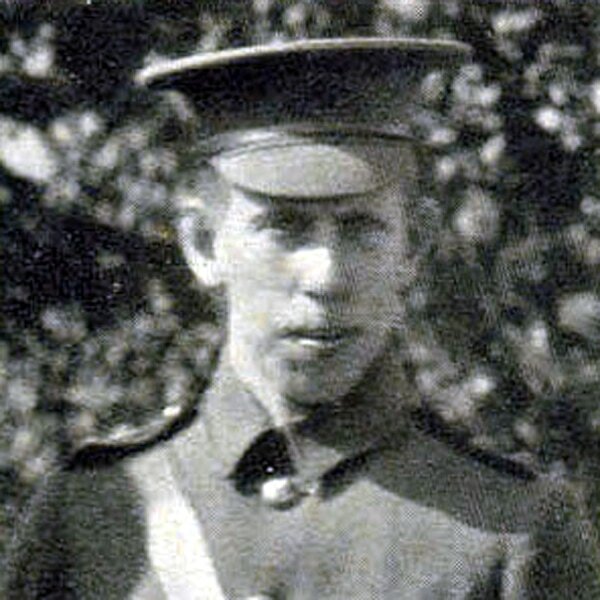 ​Richardson, A; Nicknamed Stick, Gunner in 85th Heavy Battery 15th (Vancouver) Coast Brigade RCA on Yorke Island. ​​Richardson, Ernest Herbert; Taken on strength in 15th Field Regiment RCA on 21 Oct 1948, promoted Acting Sergeant on 21 Oct 1948, confirmed Sergeant on 28 Feb 1949, appointed Acting Warrant Officer Class II on 1 Mar 1949, confirmed Warrant Officer Class II on 23 Sep 1949, to be Acting Warrant Officer Class I and appointed Regimental Sergeant Major on 24 Sep 1949, relinquishes the appointment of Acting Warrant Officer Class I and Regimental Sergeant Major on 14 Feb 1952. Richardson, H; Lance Bombardier in 85 Heavy Battery 15th (Vancouver) Coast Brigade RCA CASF in Aug 1939.Appointed Lance Bombardier on 14 Dec 1950, appointed Acting Bombardier on 29 Mar 1951, appointed Bombardier on 10 Apr 1952, appointed Acting Sergeant on 10 Apr 1952, reverts to Gunner on 19 Nov 1954, struck off strength on release on 19 Nov 1954. Richardson, James Stevenson; Taken on strength 15th (Vancouver) Coast Brigade RCA as a Gunner in 1940, posted to 58th Heavy Battery in 1940, appointed Lance Bombardier with pay in 1940, qualified clerk and reposted to headquarters 15th (Vancouver) Coast Brigade RCA in 1940, Acting Bombardier without pay in 1942, Lance Bombardier with pay in 1942, to be Lance Sergeant with pay in 1942, confirmed in rank of Bombardier in 1942, admitted to Shaughnessy Military Hospital in February 1943, deceased 30 August 1943 from military tuberculosis constrictive pericarditis, buried at Mountain View Cemetary. ​​Richardson, Joe A; Member 158 Battery 15th Field Artillery Regiment RCA in 1961, promoted Sergeant in 1961. ​Richardson, William Augustus; ​Taken on strength Queens Own Rifles prior to 1910, enlisted in 9th Battery, 3rd Brigade, Canadian Field Artillery, 1st Canadian Division, commissioned as Lieutenant in France in Dec 1915 until 1918, Appointed Brigade Adjutant Aug 1917, promoted Captain and awarded the Military Cross Jan 1917, Captain in 58th Heavy Battery 15th (Vancouver) Coast Brigade RCA NPAM from 1940, attended instructors course Heals Camp on 19 Aug 1940, buried Royal Oak Burial Plot Falaise Dr Victoria. 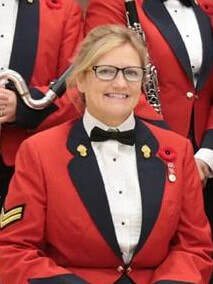 Riches, Carrie Dawne; ​Taken on strength as a Musician in 15th Field Artillery Regiment RCA with previous service on 14 Nov 1985, qualified General Military Training, qualified TQ1, 2 & 3 Musician, released on 16 Oct 1986. 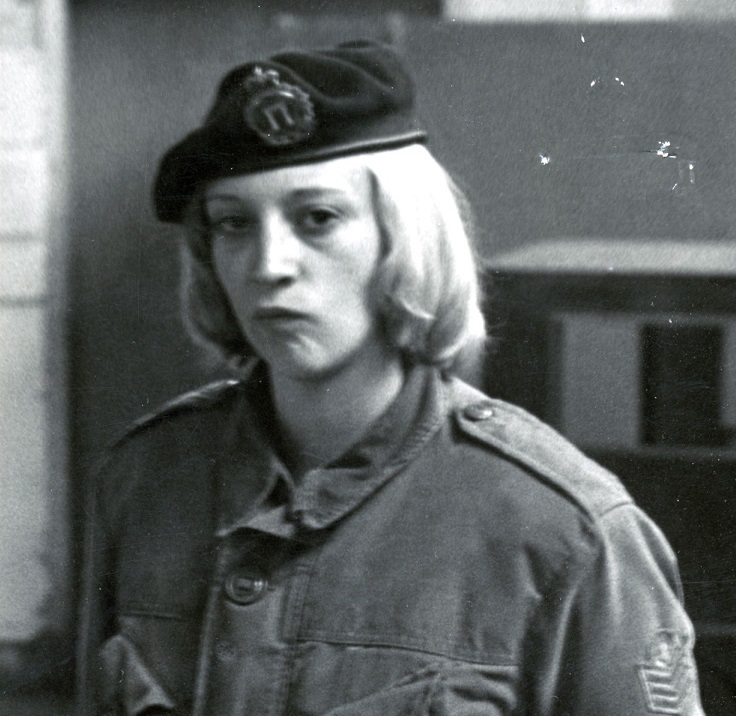 Richet, RK; ​Private in 31 Battery in 1969. Riddle, Jack Fraser; Taken on strength with 85 Battery 15th Coast Regiment RCA on 27 Nov 1947, appointed Lance Bombardier on 16 Sep 1948, appointed Acting Bombardier on 6 Oct 1949, struck off strength on 21 Sep 1950 on enlistment in Special Force, killed in action on 5 Oct 1951 while serving as a Forward Observation Officer communicator with 2nd Regiment Royal Canadian Horse Artillery, buried at United Nations Military Cemetery Busan Korea. Riley, Steven Darren; Taken on strength as a Gunner in 15th Field Artillery Regiment RCA on 14 Apr 1984, transferred to 5 (BC) Field Battery RCA on 6 Sep 1984. Rindal, Kaare; Taken on strength as a Gunner with 58th Battery 15th (Vancouver) Coast Regiment RCA NPAM on 31 Jul 1940, assigned regimental number V9993, assigned new regimental number K416599, Major with 43rd Heavy Anti-Aircraft Regiment RCA in 1952, attached fap to 15th Field Regiment RCA as Major from 7 AAOR RCA CA(M) on 15 Jul 1955, cancel attached fap from 7 AAOR RCA on 25 Jul 1955. ​Ringwood, Thomas Duncan John; Royal Military College Sep 1905 to Jun 1909, Royal Canadian Artillery as of 1 Apr 1910, Captain in 15th Brigade Canadian Field Artillery in 1916, embarked Halifax 11 Sep 1916, disembarked Liverpool 22 Sep 1916, vacates position of Adjutant 15th Brigade Canadian Field Artillery 24 Oct 1917, to command 60th Battery 25 Oct 1917, to be Temporary Major 22 Jan 1917, proceeded overseas with 60th Battery 14th Brigade Canadian Field Artillery 21 Aug 1917, granted 14 days leave 7 Feb 1918, rejoined from leave 28 feb 1918, killed in action 10 August 1918, buried in Beaufort British Cemetary or Cerisy-Gailly Military Cemetery. 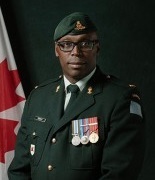 Rintjema, Dennis; ​Regular Force Support Staff Captain from 1992 to 1995, posted to Gagetown NB in 1995, posted to Kingston ON in 1999, Major from 2003 to 2006. ​Ritchie, Laura Lee; Taken on strength as an Administrative Clerk in 15th Field Artillery Regiment RCA on 27 Jan 1979, qualified General Military Training on 10 Jun 1979, qualified TQ1 Administrative Clerk on 8 Aug 1979, promoted Corporal on 28 Jan 1980, qualified TQ2 Administrative Clerk on 1 May 1980, transferred to 744 Communications Squadron on 25 May 1980, transferred to 15th Field Artillery Regiment RCA on 20 Aug 1980, qualified TQ1 Finance Clerk on 5 Dec 1980, qualified TQ2 Finance Clerk on 18 Dec 1980, qualified Driver Non-Trade on 18 Dec 1980, awarded Most Efficient Corporal of the Year 1981 and 1982, promoted Master Corporal on 28 Jan 1982, qualified TQ3 Administration Clerk on 5 May 1982, promoted Sergeant on 28 Feb 1983, transferred to Supplementary List on 29 Sep 1983, attached from Supplementary List on 15 Mar 1984. Rivers, Hubert; Drafted 20 Nov 1917, regimental #341376 as a Gunner with 70th Overseas Depot Battery Canadian Field Artillery, embarked Halifax 10 Feb 1918, arrived Glasgow 24 Feb 18, taken on strength Reserve Brigade 26 Feb 1918, taken on strength 68th Battery 16th Brigade Canadian Field Artillery North Russia Expeditionary Force 21 May 1918, proceeded overseas 20 Sep 1918, arrived Archangel 1 Oct 1918, embarked for the United Kingdom 11 Jun 1919, to Canada 5 Jul 1919, discharged 11 Jul 1919, deceased 16 Dec 1933. Rix, Alex G; Major in 15th (Vancouver) Coast Regiment RCA in 1942, Battery Commander Yorke Island from 3 Jan 1942 to 18 Dec 1942. Robarts, Scott Wayne; Taken on strength as a Gunner in 5th (BC) Field Battery RCA on 26 May 2000, transferred to 15th Field Artillery Regiment RCA on 16 Nov 2001, released on 15 Nov 2002. 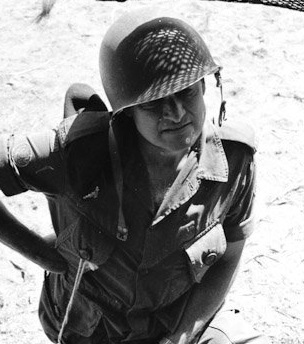 Robbins, CM; Attached fap to 15th Field Regiment RCA as Acting Sergeant from 111 Manning Depot CA(M) on 20 Jun 1955, promoted substantive Sergeant on 20 Sep 1955. 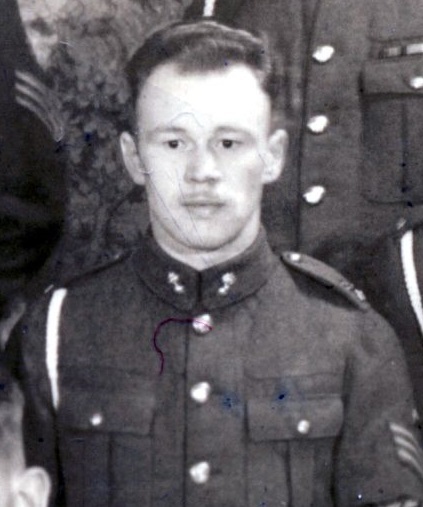 Robbins, Norman Kenneth; Taken on strength as a Gunner in 85 Battery 15th Field Regiment RCA on 5 Jun 1948, struck off strength to Active Force on 21 Jul 1949. ​Roberts, Clyde A; Taken on strength in 15th Field Artillery Regiment RCA, Warrant Officer from 2008 to 2016, Master Warrant Officer in 2016. Roberts, John; Attested Canadian Overseas Expeditionary Force 24 Sep 1914 as a sergeant with 10th Battery 3rd Brigade Canadian Field Artillery Canadian Expeditionary Force after 3 years as a Gunner in the 7th Battery before the war, regimental #42047, embarked for England 3 Oct 1914, proceeded to France 9 Feb 1915, promoted to Battery Quartermaster Sergeant 20 Nov 1916, promoted Battery Sergeant Major 25 Jun 1917, taken on strength Artillery Regimental Depot for officer's training course 6 Dec 1917, to be temporary Lieutenant of Canadian Artillery 23 May 1918, admitted hospital for influenza 14 Aug 1918, transferred to 68th Battery 16th Brigade Canadian Field Artillery North Russia Expeditionary Force 6 Sep 1918, proceeded overseas 20 Sep 1918, disembarked Archangel 1 Oct 1918, awarded Military Cross in recognition of gallant conduct in the field 25 Mar 1919, embarked Archangel 11 Jun 1919, disembarked United Kingdom 18 Jun 1919, sailed to Canada 5 Jul 1919, discharged 16 Jul 1919. Roberts, Paul William; Taken on strength as a Musician in 5th (BC) Field Battery RCA, qualified General Military Training, qualified TQ 1 Musician, qualified TQ2 Musician, promoted Bombardier, qualified Artillery Driver Wheeled, qualified Junior NCO, qualified TQ2 Artillery Communicator, qualified TQ1 Artilleryman, remustered to R021 Artillery, qualified TQ3 Artillery Detachment Commander, qualified TQ4 Artillery, promoted Master Bombardier, qualified TQ2 Military Policeman on 31 May 1983, transferred to 15th Field Artillery Regiment RCA on 17 Nov 1983, promoted Sergeant on 15 Sep 1984, qualified TQ4 Artillery on 8 Aug 1986, released on 1 Dec 1990. 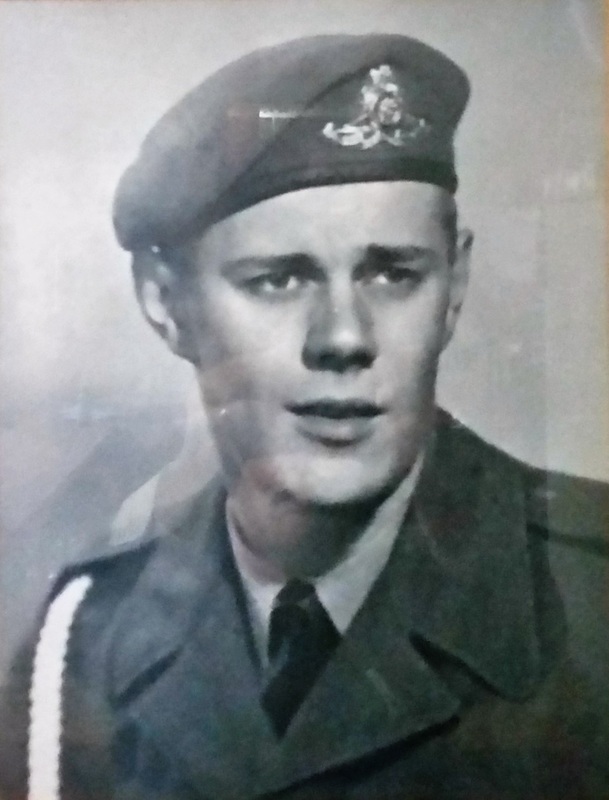 Robertson, Alister Roderick; Taken on strength 15 Field Regiment RCA on 30 Jun 1954 on transfer from Eastern Command Contingent Canadian Officer Training Corps, promoted Lieutenant on 16 Oct 1955. 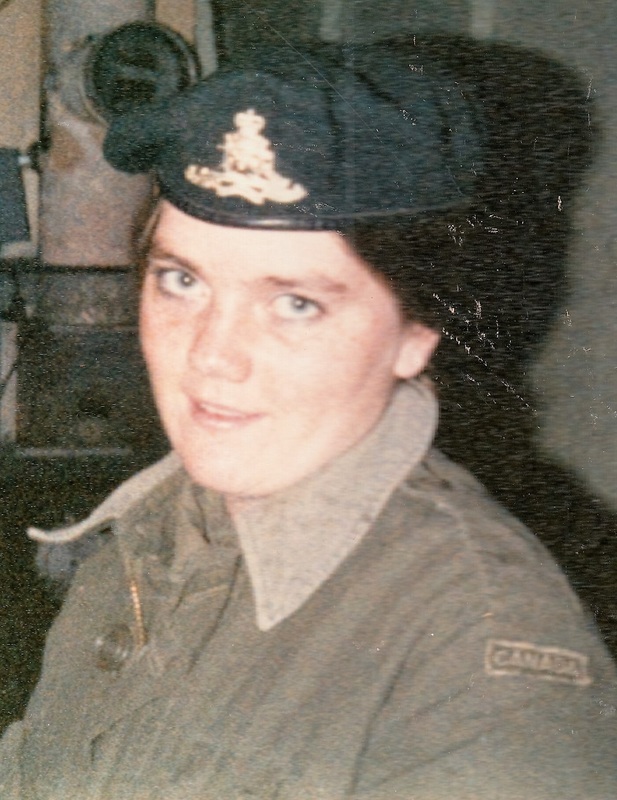 Robertson, Catherine Cheryl Lynn; Taken on strength in 15th Field Artillery Regiment RCA on 7 Jul 1980, released 11 Jul 1980. Robertson, Charles; Attested Canadian Overseas Expeditionary Force Gunner 12 Apr 1917, regimental #1251864, 79th Depot Battery Canadian Expeditionary Force, embarked Halifax 29 Apr 1917, disembarked England 7 May 1917, taken on strength Reserve Brigade Canadian Field Artillery 7 May 1917, arrived as reinforcements attached 1st Canadian Division Ammunition Column 27 Jun 1917, taken on strength 2nd Brigade Canadian Field Artillery 27 Jun 1917, admitted to hospital trench fever 5 Jan 1918, invalided sick posted to Canadian Artillery Regimental Depot 1 Jan 1918, attached 2CCD 11 Feb 1918, cease attachment 5 Apr 1918, taken on strength Reserve Brigade 5 Apr 1918, taken on strength Composite Brigade 23 May 1918, taken on strength 68th Battery 16th Brigade Canadian Field Artillery North Russia Expeditionary Force 4 Sep 1918, embarked for the North Russia Expeditionary Force 20 Sep 1918, awarded the Military Medal for bravery in the field 11 Feb 1919, gun shot wound right thigh 1 Mar 1919, embarked for United Kingdom 11 Jun 1919, to Canada 5 Jul 1919, deceased 4 May 1936, interred Hope Cemetery Barre Washington County Vermont USA. Robertson, Donald Graham; Lieutenant in 31 Battery in 1917, awarded Military Cross 13 Feb 1917. Robertson, Frank Albert; Attached FAP from Supplementary Reserve to 15 Field Regiment RCA on 10 Jun 1949, ceases attachment on 12 Jul 1949. Robertson, Hector Bruce; Taken on strength with 85 Battery 15th Coast Regiment RCA on 27 Nov 1947, struck off strength on 17 Feb 1949. 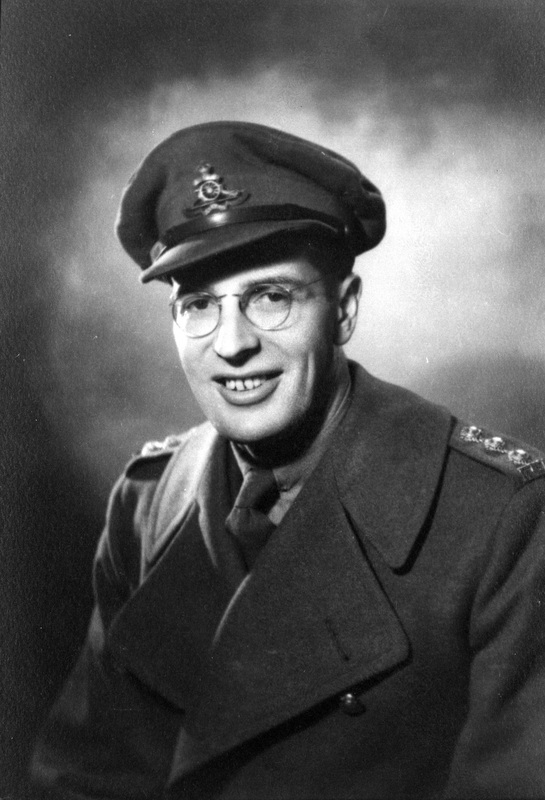 Robertson, John Leslie; Second Lieutenant in 31st Heavy Battery, 15th (Vancouver) Coast Brigade RCA NPAM from 1940 to 1941. Robertson, Lloyd; Drafted 74th Depot Battery Canadian Field Artillery Canadian Expeditionary Force 29 Dec 1917, regimental #345114, embarked Halifax 27 Feb 1918, disembarked Glasgow 11 Mar 1918, taken on strength Reserve Brigade Canadian Field Artillery 12 Mar 1918, taken on strength 68th Battery 16th Brigade Canadian Field Artillery North Russia Expeditionary Force 21 Aug 1918, proceeded overseas 20 Sep 1918, disembarked Archangel 1 Oct 1918, embarked for United Kingdom 11 Jun 1919, to Canada 5 Jul 1919, discharged 15 Jul 1919. Robertson, WS; Attached to 15th Field Regiment RCA from Supplementary Reserve (RCA) on 16 Nov 1956, ceases attachment on 1 Oct 1958, taken on strength on transfer from Supplementary Reserve (RCA) on 2 Oct 1958. Robinson; Gunner in 68th Battery 16th Brigade, Canadian Field Artillery North Russia Expeditionary Force in 1918. 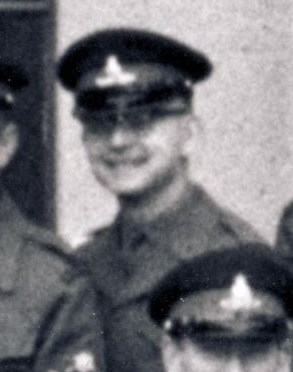 Robinson, AE; Officer Cadet in 1958, 43rd Medium Anti-Aircraft Regiment RCA in 1958. Robinson, DDS; Taken on strength in 15 Field Regiment RCA on transfer from 108 Anti-Tank Battery (Self-Propelled) RCA as Officer Cadet on 23 Feb 1950, struck off strength on 29 Oct 1953. Robinson, JW; Captain in 1958, RCACHo, 43rd Medium Anti-Aircraft Regiment RCA in 1958. Robinson, Steven Thomas; Taken on strength as a Gunner in 15th Field Artillery Regiment RCA on 11 Jun 1988, released on 29 Aug 1988. Robinson, William Henry; Taken on strength 2nd Battalion The Seaforth Highlanders of Canada, assigned regimental number K489570, taken on strength 85th Battery 15th (Vancouver) Coast Brigade RCA NPAM 15 Nov 1940. 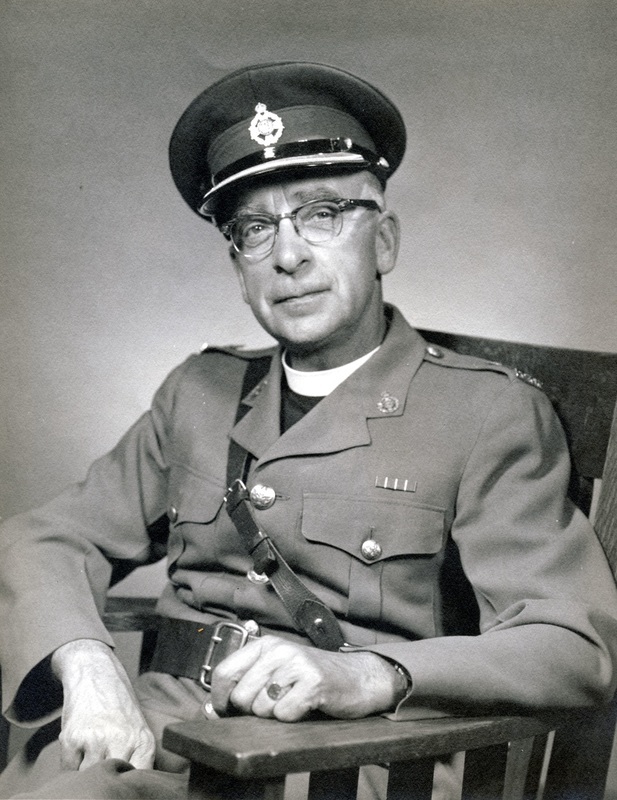 ​Robinson, Winfield; Regimental Padre/Canon from 1954 to 1961. Robson, Lorraine Anne; Taken on strength in 15th Field Artillery Regiment RCA on 7 Jul 1980, released 31 Aug 1980. 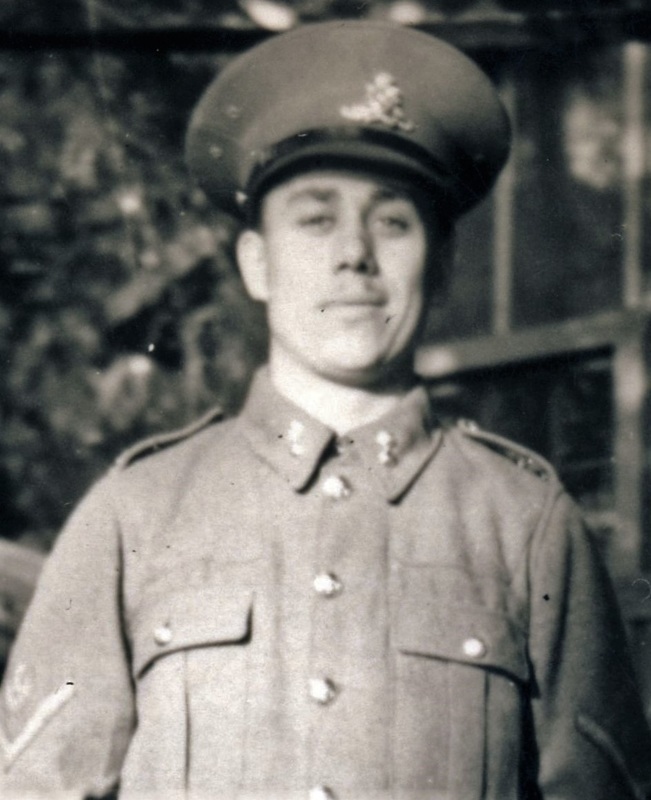 Rochon, Joseph Earle; Taken on strength as a Gunner with 85th Battery 15th (Vancouver) Coast Regiment RCA NPAM on 2 Aug 1940, assigned regimental number V10442, assigned new regimental number K417557. Rodas, Samuel Isaac Corado; Taken on strength as a Gunner in 15th Field Artillery Regiment RCA on 27 Mar 1997, qualified QL2 General Military Training, qualified QL3 Artillery on 22 Aug 1997, transferred to Regular Force on 19 Dec 1997. Rodgers, John Francis; Attested Canadian Overseas Expeditionary Force Driver 21 May 1917, regimental #2005999, embarked Halifax 27 Feb 1918, disembarked Glasgow 11 Mar 1918, taken on strength Reserve Brigade 12 Mar 1918, taken on strength 68th Battery 16th Brigade Canadian Field Artillery North Russia Expeditionary Force 7 Sep 1918, arrived Archangel 1 Oct 1918, embarked for United Kingdom 11 Jun 1919, proceeded to Canada 5 Jul 1919, discharged 25 Jul 1919. 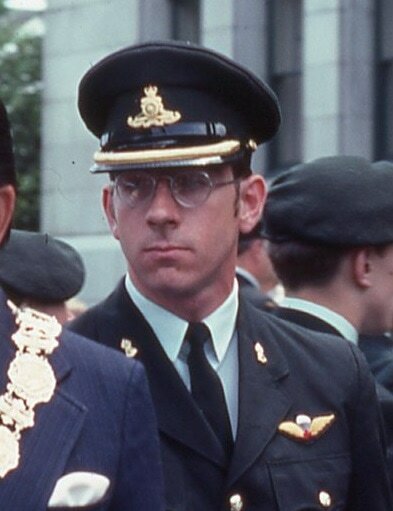 ​Rodgers, William; Civilian Instructor with 103 Thunderbird Squadron Royal Canadian Air Cadets from 1988 to 2008, Bachelor of Laws degree in 1976, called to the Bar of British Columbia in 1977, appointed a Judge of the Provincial Court of British Columbia in 1991, elected to the Council of the District of North Vancouver in 1986, 1988 and 1990, Director of Mountain Equipment Co-Op from 1979 to 1983, Director of the B.C. Games Society for the Winter Games and the Games For Athletes With A Disability from 1995 to 1999, past member of the Law Society of British Columbia and the Law Society of Yukon Territory, currently a member of the Canadian Association of Provincial Court Judges, the Commonwealth Judges Association, the International Commission of Jurists and the American Judges Association, Honorary Lieutenant-Colonel from 2010 to 2014, Honorary Colonel in 2015. Rogers, Claude Everly; ​Taken on strength 15th (Vancouver) Coast Brigade RCA on 28 June 1940 in the rank of Gunner, taken on strength 16th Light Anti-Aircraft Battery RCA on 28 July 1940, posted 3rd Light Ant-Aircraft Regiment RCA, appointed Acting Lance Bombardier on 1 December 1941, Lance Bombardier on 1 March 1942, embarked to France on 18 August 1942 (Dieppe), appointed Acting Bombardier on 29 October 1942, confirmed Bombardier on 20 January 1943, appointed Acting Lance Sergeant on 11 March 1943, appointed Acting Sergeant on 21 October 1943, confirmed Sergeant 21 January 1944, embarked to France on 5 July 1944, injured accidently, died of accidental gun shot wounds on 30 August 1944, buried in Bretteville-sur-Laize Canadian Military Cemetery. Rogers, David S; ​Private in the Regimental Band in 1978. 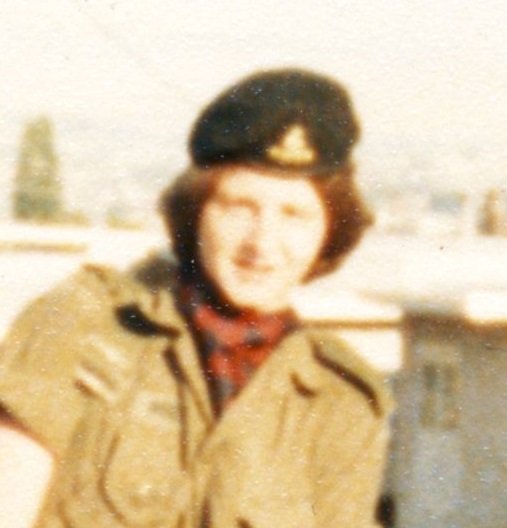 Rogers, Peter J; Private in 31 Battery in 1978. Rogerson, Robert William; Taken on strength 15th Field Regiment RCA on enrolment on 5 Apr 1956, struck off strength on release on 15 Apr 1958. Rolland; Gunner in 85th Heavy Battery 15th (Vancouver) Coast Brigade, RCA in 1941. Roller, A; Sergeant listed on the Warrant Officers and Sergeant’s Mess gong. 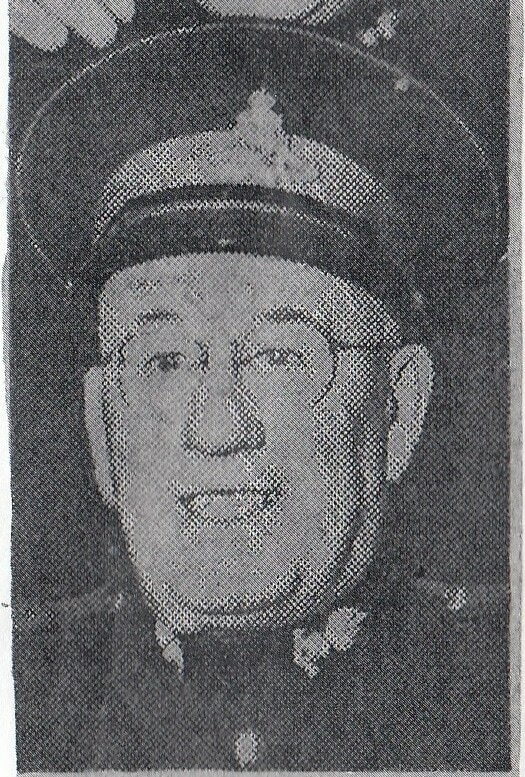 Rolls; ​Lieutenant in 15th Field Brigade RCA in 1937. Rolls, Douglas; Taken on strength 31 Battery 15th (Vancouver) Coast Brigade RCA NPAM 6 Aug 1940, assigned regimental number V9489. Romeo, Joseph Albert Gerhardt; Taken on strength from Canadian Army (Active Force) in 31 Battery 15th Fd Regiment RCA on 20 Sep 1951, struck off strength on 24 Mar 1954. Rosales, Marte R; Taken on strength in 15th Field Artillery Regiment RCA, Captain in 2017. Rose, George Hugh; Taken on strength 31 Battery 15th (Vancouver) Coast Brigade RCA NPAM 6 Aug 1940, assigned regimental number V9487, assigned new regimental number K415589. Rose, Gregory Lewis; Taken on strength as a Gunner in 15th Field Artillery Regiment RCA with previous service on 15 Feb 1994, qualified QL2 General Military Training, qualified QL5 Field Engineer Part 1 & 2, qualified QL3 Artillery on 30 Jun 1994, qualified LFC Driver Wheeled on 25 Jun 1995, transferred to 6 Field Engineer Squadron on 5 Jan 1997. Rose, Hedley Alexander; 68th Battery Canadian Field Artillery Gunner, France Second Divisional Ammunition Column May 1916, England Jan 1917, 5th Battery Feb, 1917, France 2nd Divisional Ammunition Column May 1917, 18th Battery May 1917, England Khaki College March 1919, Canada and discharged Aug 1919. 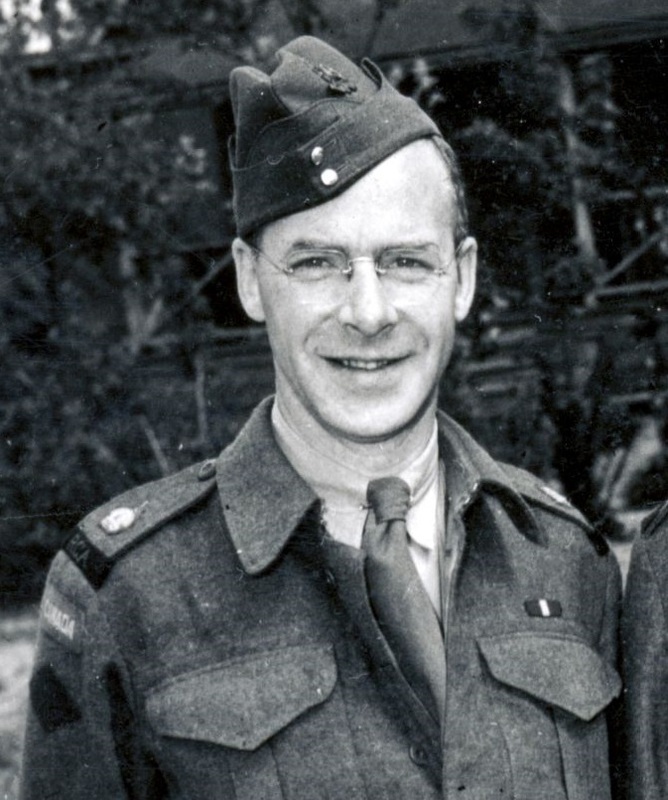 Rose, John Montgomery; Taken on strength as a Second Lieutenant in 85th Battery, 15th (Vancouver) Coast Brigade RCA NPAM from 30 Jul 1940 to 1941. Rosebrugh, Charles Kenneth; Lieutenant from 1917 to 1930, McGill University COTC 1914-16, 6th McGill Siege Battery Gunner May 1916, Corporal England Sept 1916, France 7th Siege Battery March 1917, 10th Siege Battery June 1917, Sergeant, 1st Canadian Heavy Battery Lieutenant Feb 1918, Canada and discharged May 1919, member of Vancouver Overseas Artillery Association, Major from 1937 to 1943, OC 58th Heavy Battery in 1939, O.C. "X" Super-Heavy Battery, Lieutenant-Colonel and Commanding Officer 15th (Vancouver) Coast Regiment RCA, assumed command of 17 (North B.C.) Coast Regt RCA at Prince Rupert on 27 Mar 1944, deceased in Vancouver on 16 March 1971. 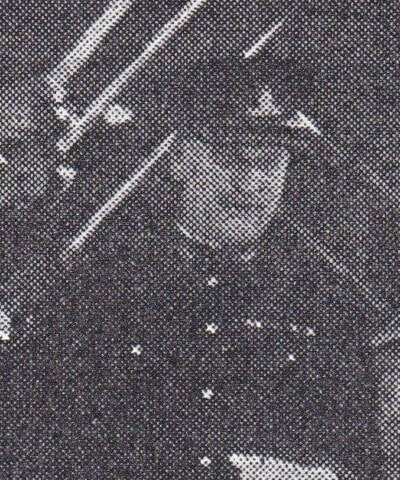 Ross, Alexander Scott; Taken on strength 15 Field Regiment RCA on 6 May 1954, struck off strength on release on 15 Mar 1955. Ross, Harold; Attested 74th Depot Battery Canadian Field Artillery Canadian Expeditionary Force 8 Apr 1916, regimental #348976, embarked Canada 16 Jul 1916, arrived England 25 Jul 1916, transferred to 82nd Howitzer Battery Canadian Field Artillery 10 Oct 1916, taken on strength 82nd Howitzer Battery 15th Brigade Canadian Field Artillery 22 Jan 1917, posted to 1st Brigade Canadian Field Artillery in France 18 Mar 1917, hospitalized shelled gas 23 Jun 1917, invalided and posted to Canadian Artillery Regimental Depot 6 Nov 1917, attached 2CCD 4 May 1918, cease attachment 17 Jun 1918, attached 2 CCD 15 Jul 1918, cease attachment 16 Aug 1918, taken on strength Composite Brigade Canadian Reserve Artillery 16 Aug 1918, taken on strength 68th Battery 16th Brigade Canadian Field Artillery North Russia Expeditionary Force 21 Aug 1918, proceeded overseas 20 Sep 1918, disembarked Archangel 1 Oct 1918, embarked for United Kingdom 11 Jun 1919, to Canada 13 Aug 1919, discharged 26 Aug 1919. Ross, James Edward; Taken on strength as a Musician in 15th Field Artillery Regiment RCA on 1 1 Dec 1984, qualified QL2 General Military Training on 9 Jun 1989, qualified TQ1 Musician on 27 Aug 1988, qualified TQ2 Musician on 15 May 1989, qualified QL6A Musician on 28 Aug 1989, promoted to Bombardier on 9 Jun 1989, released on 4 Feb 1994. ​Ross, JD; Taken on strength 15th (Vancouver) Brigade RCA, Captain in 1939, Adjutant in 1939. Ross, Maxwell; Taken on strength 31 Battery 15th (Vancouver) Coast Brigade RCA NPAM 30 Jul 1940, assigned regimental number V9488, appointed Acting Bombardier 15 Sep 1940, assigned new regimental number K415513. Ross, Wendy L; Taken on strength as a Musician in 15th Field Artillery Regiment RCA, Bombardier from 2014 to 2017. 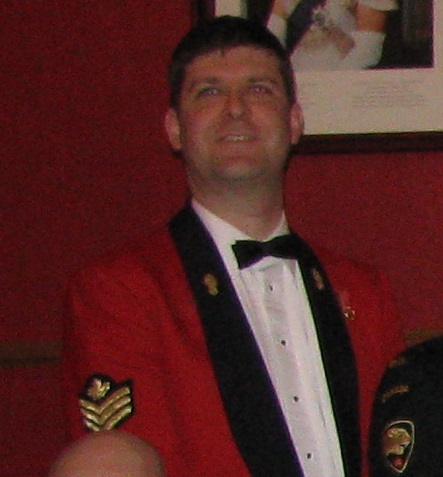 Ross, James E; Private in the Regimental Band from 1986 to 1990. ​Rossi, Fred H; Regular Force Support Staff Warrant Officer from 1972 to 1975, Master Warrant Officer as at 31 Dec 1976 to 31 Dec 1978, deceased 8 July 2015. Routh, Brian Derek; Taken on strength as a Gunner in 15th Field Artillery Regiment RCA on 6 May 1997, qualified QL2 General Military Training on 3 Aug 1997, qualified QL3 Artilleryman on 22 Aug 1997, released on 22 Nov 1997. Rowdon, Ronald David; Taken on strength as a Captain in Headquarters Pacific Militia Area on 11 Apr 1990, transferred to 15th Field Artillery Regiment RCA on 1 Nov 1991, transferred to Supplementary Ready Reserve on 1 Apr 1992. 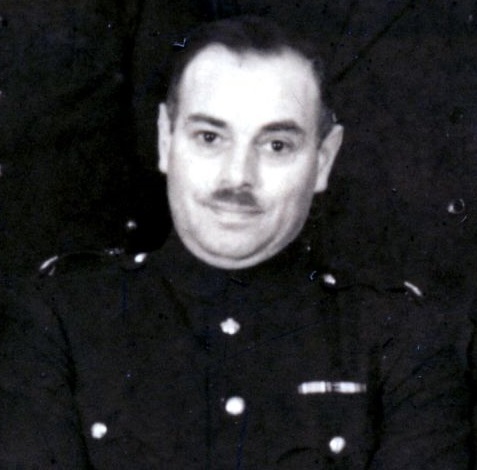 Roy, Gordon Lee; Taken on strength 15 Field Regiment RCA on 30 Sep 1954, struck off strength on release on 10 Jan 1957. ​Royce, Edward Allen; Taken on strength as a Trooper with British Columbia Light Horse 1929, subaltern with British Columbia Dragoons in Vernon, attached 111th Field Battery in Nelson, taken on strength 15th Field Brigade RCA in Vancouver 1937, Second Lieutenant in 58th Battery 15th (Vancouver) Coast Brigade RCA CASF in 1939, Captain from 1940 to 1941, transferred to 17th Field Regiment RCA 1941, promoted Major, set up and commanded Land Service Mattress Party (3 inch rockets) Sep 1944, Battery Commander 1st Rocket Battery Royal Canadian Artillery, appointed Second in Command 15 Coast Regiment RCA on 1 Apr 1946, promoted Lieutenant-Colonel and appointed Commanding Officer from 15 Oct 1948 to 5 Apr 1951, struck off strength to Supplementary Reserve on 5 Apr 1951, Advisory Committee of Royal Canadian Artillery Association from 1965 to 1966, appointed Honorary Colonel 7th Toronto Regiment RCA 1967, deceased 1977, buried Mount Pleasant Cemetery Toronto ON. 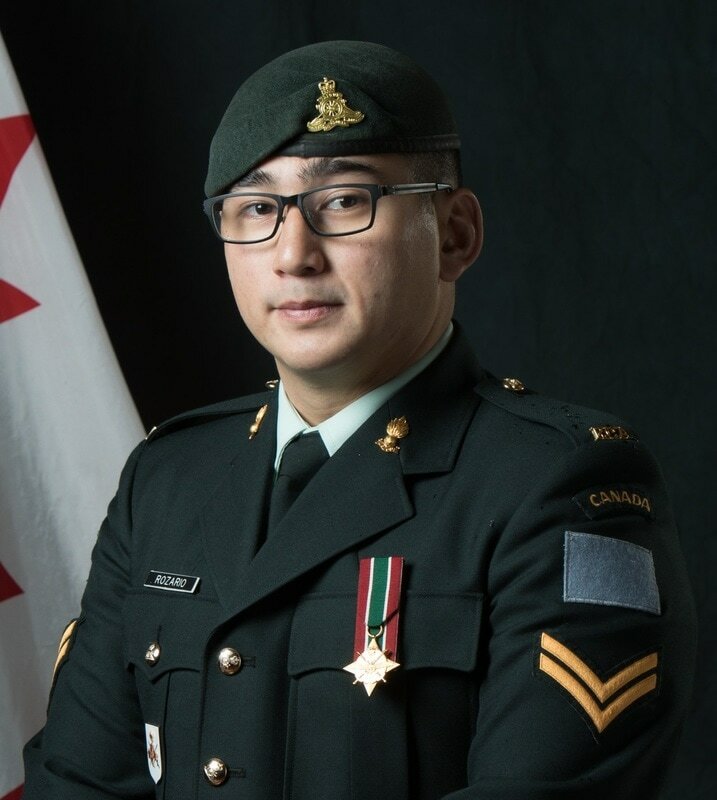 Rozario, Joseph M; Taken on strength as a Gunner in 15th Field Artillery Regiment RCA, awarded the Challenge Cup in 2007, awarded the Gunner Douglas Corsor Jr. memorial trophy in 2008, Bombardier from 2014 to 2017. Ruffell, Renaud Kitchener; Taken on strength as a Gunner with 58th Battery 15th (Vancouver) Coast Regiment RCA NPAM on 7 Aug 1940, assigned regimental number V9995, assigned new regimental number K416601. 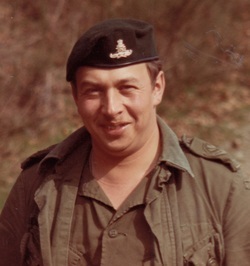 Ruginis, Kris; Taken on strength in 15th Field Artillery Regiment RCA on 1 Jul 1974, qualified General Military Training on 23 Aug 1974, released 9 Jan 1975. Ruhl, T; ​Taken on strength with 158 Battery 15th Field Regiment RCA on 19 Mar 1959. Ruiz, Carlos Eduardo; Taken on strength as a Gunner in 15th Field Artillery Regiment RCA on 26 May 1992, qualified QL2 General Military Training on 26 Jun 1992, qualified QL3 Artilleryman on 14 Aug 1992, awarded the Gunner Douglas Corsor Jr. memorial trophy, qualified FMC Driver Wheeled on 14 Feb 1993, qualified QL4 Artillery Technician Part I (Recce) on 30 Jun 1993, qualified Artillery Technician Part II (CP) on 28 Jul 1993, promoted Bombardier on 12 May 1994, transferred to Headquarters BC District on 16 Sep 1994, qualified QL4 Artillery Basic Technician Part III on 29 Jul 1994, transferred to 15th Field Artillery Regiment RCA on 1 Apr 1995, transferred on 13 Sep 1995. 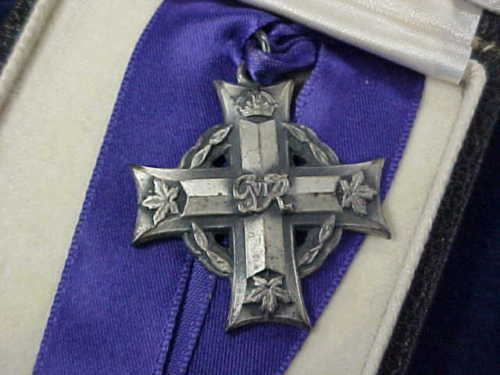 ​Russ, AB; Lieutenant in 15th (Coast) Brigade RCA CA in 1942, attached as temporary Adjutant to 15th Coast Brigade RCA RF effective 7 Feb 1942. Russell, Elphinstone Mather; Taken on strength as a Gunner with 58th Battery 15th (Vancouver) Coast Regiment RCA NPAM on 7 Aug 1940, assigned regimental number V9996, assigned new regimental number K416602, struck off strength on transfer to Canadian Officers Training Corps 23 Sep 1940, deceased 8 Nov 1973. Russell, Frank H; Gunner in 68th Battery 16th Brigade, Canadian Field Artillery North Russia Expeditionary Force in 1918, killed in action on 13 Nov 1918, buried in the Shenkursk Old Cemetery and then later moved to the Archangel Allied Cemetery. Russell, James De Verber; Attested 14 Nov 1917, regimental #1251332, 78th Depot Battery, arrived England 24 Feb 1918, taken on strength Reserve Brigade Canadian Field Artillery 26 Feb 1918, taken on strength 68th Battery 16th Brigade Canadian Field Artillery North Russia Expeditionary Force 10 Sep 1918, proceeded overseas 20 Sep 1918, disembarked Archangel 1 Oct 1918, employed as a Gunner in 68 Battery, embarked Archangel 11 Jun 1919, disembarked United Kingdom 18 Jun 1919, to Canada aboard RMS Carmani 5 Jul 1919 demobilized 18 Jul 1919, deceased 12 May 1962 in Saint John NB. Russell, John Shelby; Taken on strength as a Musician in 15th Field Artillery Regiment RCA on 22 Jan 1976, qualified Musiclian Level C on 31 Jul 1976, qualified General Military Training on 2 Jul 1977, released 2 Feb 1978. Russell, Peter Garfield; Taken on strength as a Gunner in 15th Field Regiment RCA on 27 Jan 1949, struck off strength on 1 Sep 1949, taken on strength on re-enlistment on 10 Nov 1949, struck off strength on enlistment to Canadian Army (Active Force) on 30 Apr 1951. Russell, Ronald Joseph; Taken on strength 15th Field Regiment RCA on 11 Apr 1957. Russell, TG; Taken on strength as a Gunner in 15th Field Regiment RCA on 13 Jan 1949. 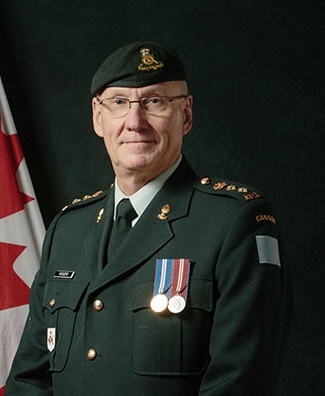 Rutherford, Larry Brian; Taken on strength as an Infantryman in Seaforth Highlanders of Canada on 1 Jul 1974, qualified General Military Training on 20 Aug 1974, released 25 Aug 1974, re-enrolled in Seaforth Highlanders of Canada on 7 Jul 1975, qualified General Military Training on 25 Aug 1975, released 17 Feb 1976, re-enrolled in Seaforth Highlanders of Canada on 4 Jul 1977, qualified General Military Training on 28 Aug 1977, released 28 Aug 1977, enroled as a Gunner in 15th Field Artillery Regiment RCA on 17 Jun 1978, qualified Artilleryman on 2 Jun 1978, qualified Artilleryman on 2 Jun 1979, promoted Bombardier on 1 Oct 1980, transferred to Regular Force on 9 Jul 1980. Rutherford, Manson Vogan; Taken on strength 15th Field Regiment RCA on enrolment with previous service with Canadian Army (A) on 23 Feb 1956, appointed Lance Bombardier on 1 Feb 1957, promoted Acting Bombardier on 1 Sep 1957, promoted substantive Bombardier on 16 Feb 1958, appointed Lance Sergeant on 1 Apr 1958, Staff Sergeant listed on the Warrant Officers and Sergeant’s Mess gong. Rutledge, Clarke Eric; Taken on strength as a Gunner in 15th Field Artillery Regiment RCA on 24 Apr 1980, completed General Military Training on 27 Sep 1980, qualified Artilleryman on 26 Feb 1981, promoted Bombardier on 1 Jul1981, transferred out on 18 Sep 1981. Rutledge, Earl Edward James; Taken on strength with 15 Field Regiment RCA on 15 Jan 1948, appointed Acting Sergeant on 9 Jan 1948, appointed Acting Warrant Officer Class II on 12 Feb 1948, confirmed Warrant Officer Class II on 1 Feb 1949, to draw pay of Trumpet Major (Group 2) as of 8 Apr 1952. Ryan, Percy; Attested Canadian Overseas Expeditionary Force 27 Dec 1917, regimental #300275, Gunner 33rd Battery 9th Brigade Canadian Field Artillery, taken on strength 1st Battery Canadian Reserve Artillery 25 Oct 1915, drafted 1st Division Ammunition Column 20 Nov 1915, in France 1 Dec 1915, taken on strength 1st Brigade Canadian Field Artillery 14 Dec 1915, sentenced 7 days Field Punishment no.1 18 Feb 1916, sentenced 14 days Field Punishment no.1 18 Mar 1916, transferred to 1st Division Ammunition Column 18 May 1916, taken on strength 12th Brigade Canadian Field Artillery 29 Jun 1916, admitted 4 Sep 1916, taken on strength CCAC 4 Sep 1916, kept as overseas casualty 4 Jan 1917, taken on strength 68th Battery 16th Brigade Canadian Field Artillery North Russia Expeditionary Force 21 Aug 1918, proceeded overseas 23 Sep 1918, awarded 28 days Field Punishment No 1 for when on active service drunkenness forfeits 28 days pay 18 Oct 1918, awarded 28 days Field Punishment No. 1 for when on active service drunkenness 16 Jan 1919, embarked for United Kingdom 11 Jun 1919, to Canada 13 Aug 1919 proceeded to Canada 5 Jul 1919, discharged 18 Jul 1919. Ryan, William Ernest; Attested Canadian Overseas Expeditionary Force 27 Dec 1917, regimental #343261, Gunner 72nd (Queen’s) Battery Canadian Field Artillery Canadian Expeditionary Force, disembarked United Kingdom 11 Mar 1918, taken on strength 68th Battery 16th Brigade North Russia Expeditionary Force 21 Aug 1918, proceeded overseas 23 Sep 1918, arrived Archangel 1 Oct 1918, embarked for United Kingdom 11 Jun 1919, proceeding to Canada 5 Jul 1919, deceased 9 Apr 1976 in Toronto ON. ​Ryerson, Arthur Connaught; Taken on strength 10th Royal Grenadiers, graduate RMC 1913, taken on strength Canadian Overseas Expeditionary Force on 22 Sep 1914, Lieutenant in 9th Battery 3rd Brigade Mar 1915, wounded 23 Apr 1915, Medical leave 28 May to 27 Jul 1915, Mentioned in Despatches 22 Jun 1915, retained in Canada for duty 1 Oct 1915, returned to England with 8th Brigade 14 Feb 1916, promoted to Captain & Adjutant 9th CFA 17 Mar 1916, posted to 8th Brigade 5 May 1917, attached to 1st Army Rest Camp 19 Jun 1917, rejoined unit 22 Aug 1917, 31 Battery in 1917, granted 10 days leave in UK 10 Aug 1917, to be temporary Major 13 Aug 1917, granted leave of absence 22 Nov 1917, rejoined unit 7 Dec 1917, Mentioned in Despatches 28 Dec 1917, rejoined unit from BC Course 13 Mar 1918, proceed to 3rd Army R Camp 21 Jul 1918, rejoined unit from R Camp 13 Aug 1918, proceed on 14 days UK leave 1 Oct 1918, granted extension of leave to 19 oct 1918, proceed to England 18 Feb 1919, sailed for Canada 19 Mar 1919, struck off strength 3 Jun 1919, Mentioned in Despatches 11 Jul 1919, deceased 17 Nov 1952, buried at St James Cemetary Toronto ON.